The first issue of ACS Applied Bio Materials is now available. 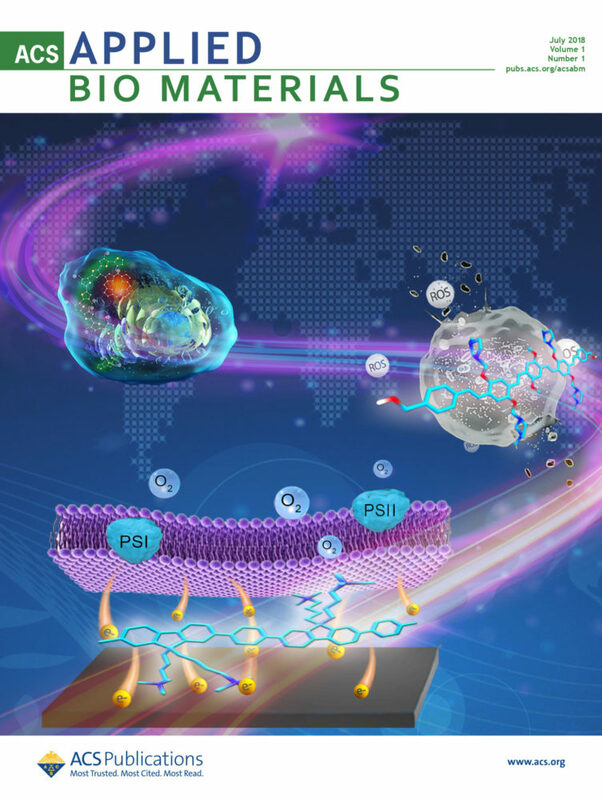 The new journal, which joins ACS Applied Energy Materials, and ACS Applied Nano Materials in the family of journals that started with ACS Applied Materials & Interfaces, focuses on original research covering all aspects of biomaterials and biointerfaces, including traditional biosensing, biomedical, therapeutic applications, and beyond. The journal seeks to integrate knowledge in the areas of materials, engineering, physics, bioscience, and chemistry into important bio applications. The journal is specifically interested in work that addresses the relationship between structure and function and assesses the stability and degradation of materials under relevant environmental and biological conditions. Sample research topics that span the journal’s scope are inorganic, hybrid, and organic materials for bio applications including antibacterial/antimicrobial and anticancer materials, biofouling and antifouling materials, biomolecular imaging/sensing materials, biomimetic materials, self-healing materials, bio-assembly materials, sustainable biomaterials, as well as novel approaches to synthesis of new and existing materials for drug delivery/targeting and photodynamic/photothermal therapy. Descriptions of the design and development of materials and devices that enable more rapid advancement of new bio applications in areas such as bioenergy, biocatalysis, bioaerosols, bioelectronics, environment, and water safety are encouraged. ACS Applied Materials & Interfaces Editor-in-Chief Kirk S. Schanze oversees the journal, but Deputy Editor Professor Shu Wang leads its editorial direction. Professor Wang says he hopes the new journal can focus on practical applications of groundbreaking techniques, such as sensory image therapeutics, bioelectronics, and biocatalysis. He points to early cancer diagnosis tools as one area of research that particularly excites him at the moment. Professor Wang is the Deputy Director of Key Laboratory of Organic Solids, and the Office Director of Beijing National Research Center for Molecular Sciences at Institute of Chemistry, Chinese Academy of Sciences. He has served on the Editorial Advisory Boards of Langmuir and ACS Omega, and been an Associate Editor of ACS Applied Materials & Interfaces since 2011 and an Executive Editor of the journal since 2016. He has authored or co-authored more than 200 peer-reviewed articles and three books and six book chapters. He is listed as a co-inventor in 30 patents or disclosures. His research currently focuses on the design, synthesis, and properties of light-harvesting conjugated polymers, the self-assembly of biohybrid materials, biosensors, cell imaging, and disease therapeutics, as well as organic bioelectronics. Read an editorial from the editors of ACS Applied Bio Materials and browse the inaugural issue.